EXJADE is indicated for the treatment of chronic iron overload due to frequent blood transfusions (≥7 mL/kg/month of packed red blood cells) in patients with beta thalassemia major aged 6 years and older. EXJADE is also indicated for the treatment of chronic iron overload requiring chelation therapy when deferoxamine therapy is contraindicated or inadequate in patients with nontransfusion-dependent thalassemia syndromes aged 10 years and older. 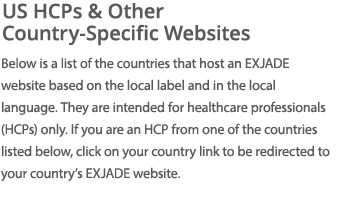 This is an international site for EXJADE® (deferasirox) and is intended for healthcare professionals outside the United States. 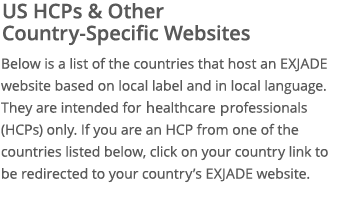 EXJADE is approved for use in more than 100 countries around the world. Reference: EXJADE® dispersible tablets and film-coated tablets [EU Summary of Product Characteristics]. 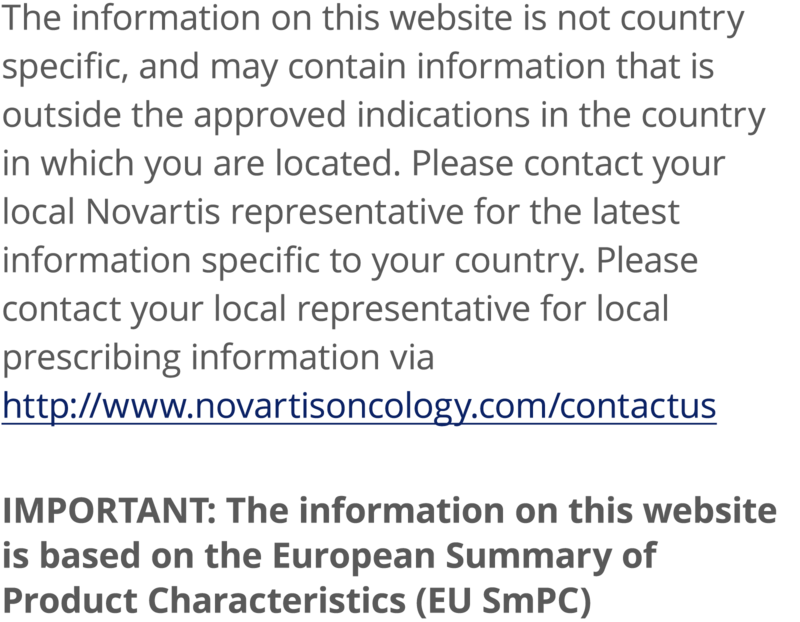 Novartis; July 2018.